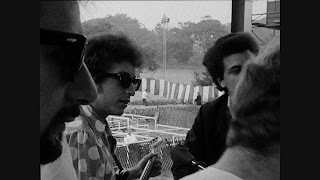 In the 2000’s Dylan manager Jeff Rosen made a deal with Lerner to use the footage in the Martin Scorsese documentary “No Direction Home: Bob Dylan,” Lerner agreed, though part of the agreement was instead of having a couple full-length songs from the footage put in the bonus section of the DVD, he could put together a separate full-length concert film (based on a rough cut he first created as far back as 1975) of the Dylan footage covering 1963-65. It was originally released in 2007, two years after NDH to not over-saturate the 60’s video Dylan market. Personal Bias: I first saw the Dylan Newport footage in the History of Rock n’ Roll documentary, and not just seeing this skinny hipster defy critics and fans with his performance, but to see so many rockers talk about this moment’s influence on their career and stories like Pete Seeger trying to cut the sound cables with an axe only to be met with a middle finger by Bobby Neuwirth just made me intrigued. “The Other Side of the Mirror,” which I first bought on it’s initial DVD run in 2007, is a fascinating look at the evolution of Dylan the “character.” Madonna may be known to change her style and character throughout her career, but she’s an amateur at it compared to Dylan. In the 60’s in general he evolved at such a pace it’s a wonder he didn’t turn into some force speed blaze and leave for another planet, many thought he was from one anyhow. Aesthetically Speaking: Originally released in a DVD digi-pack, “The Other Side of the Mirror” arrives in a blu-ray set that features almost identical cover/back cover aesthetics. Thankfully, inside, you won’t find a “Recycle sign” cut-out, but a full on blu case, including artwork behind the disc and insert areas. The disc, like many Columbia releases, it meant to sort of feel like/mimic a classic Columbia vinyl label. 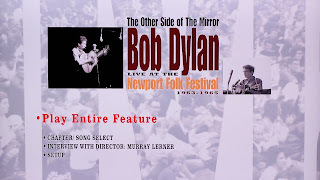 Also thankfully, much like the DVD release, this comes with a nice 20-page booklet that covers not only set-list credits and credits for both the original filming/editing of the concert footage and recent re-master credits, but pictures from throughout Dylan’s days at the Newport festival in 1963-65, vintage poster artwork from the events and liner notes by Tom Piazza, most known (musically speaking) for writing the album liner notes to “Martin Scorsese Presents – The Blues: A Musical Journey.” It’s extremely nice, in the days where studios seem to be more concerned with putting a slip-case over a release than anything else, to find such a well put-together package that takes the time to include not just an insert, but a solid booklet with a mini-wealth of information and photos. I also like having a solid case over the DVD’s cardboard digi-pack as well. The menu (seen in a screen grab above) is a nice clean menu featuring audio and a mixture of both motion images and clips from the film. The scene select menu is rather nicely laid out by year and then with a list of each song to choose from in said year sub-menu. The Visuals: Originally shot on 16mm film, which depending on filmstock, camera and lighting situations is basically the film variant of anywhere from 1080 to 2K resolution, is suited well for blu-ray. Don’t expect it to blow you away and rival, say a recent release like The Rolling Stones “Biggest Bang,” shot on modern high definition cameras. Not only were these rudimentary 16mm cameras but the lighting situations were often far from adequate. I doubt anyone truly into a film like this is expecting footage from 1963-65 to have that three-dimensional eye-popping quality 1080 can sometimes provide, but it is the best this footage has ever looked, and probably due to the source material, ever will. Being black and white in live event type circumstances, the contrast and exposure can be a little inconsistent at times, but in truth it’s the sort of thing that adds to the fly on the wall type feel rather than a big production feel. The daytime scenes are the best looking as the light situation provided them with all the natural-light needed, it’s the nighttime scenes that suffer more with heavier grain. Due to needing to pump up the ISO (basically like pumping up the gain on a high definition camera) to receive adequate light, the grain is higher in these scenes. However, the main camera, shot usually directly at the stage, receiving more light, fares better than the other cameras that are taking shots from the sides. 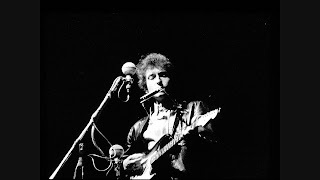 After Dylan plays his electric tunes and comes back (“does anyone have an E harmonica?”) to play two final acoustic tunes (the final of which is “It’s All Over Now, baby Blue,” a fitting way for Dylan to say “see ya’” to the folk crowd) is when the grain is more problematic. It’s nothing to NOT be expected by a vintage 16mm film, but the NON-film purists will probably wonder why no DNR (digital noise reduction) was done, thankfully it was not. Bitrate: The bitrate is surprisingly high for this release, it never dips below 26 (at least when I was watching the number) and never strays above 37. All in all it seems to come in an average bit-rate of around 32.5-34.5. A VERY nice 1080P AVC transfer…oh, and of course it’s (besides the menu and bonus interview) is all in 4:3, so they didn't crop in/reformat the source. The Sound: This is where blu ray really shines for concert and music related material. While most people enjoy having extremely compressed music shoved on their ipods, here we can have uncompressed 48khz/24-bit audio. Truly fantastic for these type of releases, my friends. This is FAR and WIDE a better audio representation of this material than the original DVD. While the visuals are an upgrade, the sound is a massive one. While the source material isn’t exactly a great representation for state of the art audio recording, being recorded live and outside in the early-mid 60’s, they did a solid job of over-coming any mix and open air (ie Wind) problems present on the original recordings. Obviously because of the age of the recordings, there’s a bit more distortion and it’s a bit thinner sounding than modern live recordings (once again, age mixed with being recorded outside and live) there’s still a LOT of life in the recordings, and they overcome any real problems they could have had, and the sound comes out more like finely aged wine than a poorly recorded whine. Bitrate: As I mentioned earlier, both the PCM 2 channel stereo and PCM 5.1 stereo are uncompressed at 48khz and 24-bit, while it also offers a Dolby Digital 5.1 mix that comes in around 640kbps, still much higher than the DVD would provide. Bonus Feature(s) Much of what would have been a bonus on a typical edit for a film like this is actually thrown in between songs themselves. This includes stuff like Joan Baez being interviewed, fans being interviewed, Johnny Cash giving Dylan a shout-out and singing one of his songs, Dylan with Kooper, Bloomfield and the rest of the Butterfield blues band rehearsing for their electric boogaloo later that evening. However one actual bonus feature is added, a (the only widescreen presentation on the disc besides the menu’s) interview with director Murray Lerner. Not only is the interview itself rather interesting, but you can see his Avid editing system in the background to the left. As an Avid editor myself, this is just a cool yet pointless bonus thing to point out. It’s an interesting interview because the subject himself is very interesting and articulate. 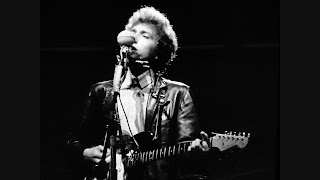 Overall: Dylan has made a nice splash into the high definition world with this release, while not perfect, the footage itself is MUST-SEE viewing for any fan of Dylan as well as rock and/or folk history. There are very few images in music history as iconic as leather-jacket clad Dylan, with a electric guitar strapped on, playing at Newport to the reception of boo’s, jeers and cheers. The Nice Price: Also, right now Amazon has this for about $24, which isn’t a bad price but not a great price, and is JUST below $25 so you can’t get free shipping on it. However, both Best Buy and Zia Records (if you’re local to…well, where I live) currently have it for $19.95 and of course, no shipping costs. Holy Snikes! That's a well done review. Kudos my friend. Picked this up last night at Fry's for $18.99. Even though I have the DVD, any improvement in video and sound is worth paying for when it comes to this wonderful documentary. It's too bad it wasn't restored; there are still lots of scratches and blemishes and black spots, etc. I hope Festival! 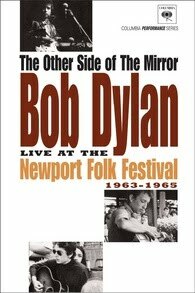 - The Newport Folk Festival eventually comes out on Blu-Ray. I do wonder what shape the source material is in, and if the restoration done for the original release was a "best they can do without harming it" sort of thing, but the video is indeed an upgrade over the DVD and certainly the audio is a major upgrade. Thanks for a great review. I hadn't found anywhere else reasons to upgrade from the DVD. I was at Newport in '63-'65. Why isn't his performance of A Hard Rain's A-Gonna Fall available? Hard Rain was performed at the '63 Festival if my memory is correct...My only guess to think's not included is either masters footage being lost or the complete performance wasn't filmed, which is the case of Phantom Engineer/It Takes a Lot to Laugh on the '65 electric set...I also know he did an acoustic "Tombstone Blues" the day before at the '65 workshop, but I've never heard or seen footage of it.